Emancipation is the point at which a minor comes of age. Child support is typically paid until the child reaches the age of emancipation, which is usually 18, 19, or 21 years old depending on the state. Keep in mind, the courts can in their discretion order support to be paid after reaching the age of majority, but only under limited circumstances, such as during post-majority education (college), or where the child is mentally or physically disabled. Also, support does not automatically terminate in most states. To stop the collection, you may have to file a motion with the court that originally ordered the support. You and your attorney will be able to discuss the procedure required in your state. If you have any questions regarding the emancipation age in your state, or if you need to terminate your child support upon emancipation, get in touch with a men’s divorce attorney as soon as possible. Read the list below to find out the age of emancipation in your state. Alaska: 18, or 19 if unmarried and pursuing a high school diploma. Arizona: 18, unless the child is still in high school in which case child support would continue while the child continues to attend high school but not beyond the child’s 19th birthday. Arkansas: 18, or when the child should have graduated from high school. Colorado: 19. If the child is still in high school, support may continue until the end of the month following graduation but not beyond age 21. Connecticut: 19, or graduates high school, whichever occurs first. Delaware: 18, or if the child is still in high school, until the child graduates or turns 19, whichever comes first. Georgia: 20, or the child dies, graduates from high school, marries, is emancipated, or joins the military, whichever event occurs first. Idaho: 18. If the child continues his/her high school education subsequent to reaching the age of 18, the court may order the continuation of support payments until the child discontinues his/her high school education or reaches the age of 19, whichever is sooner. Illinois: Until the child graduates high school or reaches age 19, whichever occurs first. Indiana: 21. However, in April 2012, the Indiana Legislature voted to lower the age of emancipation from 21 to 19, but exempts support for educational expenses. The new age of emancipation (19) takes effect July 1, 2012. Iowa: 18, or 19 if the child is still in high school and is reasonably expected to graduate by age 19. Kansas: 18, or until high school graduation if the child turns 18 while still in school. Louisiana: 18. Child support can be ordered for a child past the age of majority if the child is unmarried, a full time student in good standing in a secondary school, and dependent on either parent. Maine: 18, unless the child is attending secondary school. Then until the child graduates, withdraws or is expelled from secondary school or reaches 19 years of age, whichever occurs first; becomes married; or becomes a member of the armed services. Maryland: 18, unless the child has turned 18 and is enrolled in secondary school then it is 19 or until they are no longer enrolled, whichever occurs first. Massachusetts: 18, or when the child turns 21 if the child is living with a parent, or when the child turns 23 if the child is enrolled in an educational program. Michigan: 18, but support may be extended until age 19 1/2 while completing high school. Minnesota: 18, or when the child turns 20 if still attending high school. Mississippi: Emancipation occurs when the child: reaches 21; or marries; or discontinues full-time enrollment in school and obtains full-time employment prior to attaining the age of 21; or voluntarily moves from the home of the custodial parent or guardian and establishes independent living arrangements and obtains full-time employment prior to turning 21. Missouri: 18 with some exceptions. Child support terminates at age 18 or if the child turns 18 while still in high school then it shall terminate upon graduation from high school or age 21, whichever comes first. Montana: 19, or graduates from high school, whichever comes first. Nevada: 18, or 19 if the child is in high school and expects to graduate by age 19. New Hampshire: 18 or when the child graduates high school, whichever is later. New Jersey: 18, however emancipation is determined by the court on a case-by-case basis. New Mexico: 18, may continue to 19 if the child is still in high school. North Dakota: 19, or when the child graduates from high school, whichever occurs first. Ohio: 18, or as long as the child attends high school on a full-time basis or a court order requires the duty of support to continue. Unless specified in the court order, no duty of support extends beyond the child’s 19th birthday. Oregon: Child support ends for any minor child who has become self-supporting, emancipated or married or who has ceased to attend school after becoming 18 years of age. Pennsylvania: 18, or graduates from high school, which occurs later. 21, if deemed in special education. Rhode Island: Child support can continue for children attending high school at the time of their 18th birthday and for 90 days after graduation, but in no case beyond their 19th birthday. South Carolina: 18, or if the child is attending high school, then upon graduation or age 19, whichever occurs first. South Dakota: 18, or until the child is 19 if the child is a full-time student in a secondary school. Tennessee: 18, or when the child has graduated from high school during their normal and expected year of graduation, whichever occurs later. Texas: 18, unless the child is in high school when he/she turns 18 then support continues until high school graduation. Utah: 18, or when the child has graduated from high school during their normal and expected year of graduation, whichever occurs later. Vermont: 18, or secondary school graduation, whichever occurs later. Virginia: 18, or support may continue for any dependent child that is a full-time high school student and living in the home of the parent, until the child reaches age 19 or graduates from high school, whichever comes first. Washington: 18, unless an administrative order is in force and the child is a full-time student expected to graduate before age 19. West Virginia: 18. Courts may order support extended up to 20 years as long as the child remains in secondary school and is making substantial progress toward a diploma. Wisconsin: 18, unless the child is in high school then child support continues until age 19. Note: State laws are not static and subject to change. Do not take any actions based upon the information provided without checking your divorce decree or consulting an attorney licensed in your state. 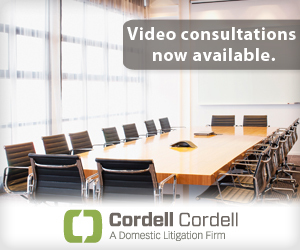 Cordell & Cordell has divorce lawyers located nationwide. 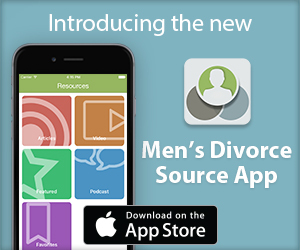 Sources: DadsDivorce Divorce Laws By State and Support Collectors.com. ← Can I Legally Force Ex’s Boyfriend Out Of The Marital Home? I have two kids. One is in PA and the other here in my home state in WV. I received a letter of my child according to records on file, that she may be emancipated and my support order may stop. Except if I owe arrears they will commence toward my arrears. The child here in my home state though, is 25 years old and has been independent ever since he’s turned 18 years of age. His support order is still being deducted from my disability benefit check every month, and I never can recall receiving any kind of letter stating that he has turned 18 years old and independent so therefore this support will be terminated. It’s strange that the one who is 25 years old is still getting child support as an independent adult, while the other who is not 18 as of yet (2 months to go) has been emancipated and received a letter regarding this matter. Something does not add up right and I don’t like it. Not accurate as to New Jersey – been a Family Law attorney here for 20+ years. Child support continues through college, strong presumption of termination at age 23. Child support has sent a letter too my job terminating child support immediately and now I’m in arrears now and it’s on my credit report. Why did they do that and then put it on my credit report? My son’s turning 19 I’ve been paying for 19 years never missed a payment he has autism but draws disability will the child support still end at 19 his mom also gets disability plus she has a kid by another guy she gets support off of to that’s three checks plus child support I get one check it’s minnumim wage. My daughter will be turning 18 in a couple months and she enrolled in home school last year and will be attending her senior year in homeschooling as well. My question is since home schooling is not a full time school does my child support stop at 18 or when she finishes homeschooled? We live in Ohio and the law is 18 or 19 if enrolled in full time school. A WA state commissioner said my daughter would be considered 18 as she just graduated from high school at age 16, which would cease having to ask permission for such things as traveling out of country, etc. My ex is trying to increase child support for this child. If the commissioner declares her 18 and 18 is the age at which the original child support states child support ends, does my ex have a right to increase child support? Or can my daughter be considered 18 in one instance and 16 in another? My daughter will be 20 in June 2018. I have one more payment for February then I will be done. Have not received anything stating that she is in college. Do I still have to pay child support? I live in Iowa. My daughter turned 18 this December 2017. She finishes all her high school classes in January 2018, but does not Commence until June 2018. Do I have to continue child support for her after she stops attending high school in Jan 2018 until she Commences in June 2018? In the united kingdom child support is paid until child leaves education. So if your child wants to become a doctor then your paying 7 years university fees. You should all be ashamed of yourselves, looking to stop paying for your children. Indeed, the nerve of the brute wanting to cut off your coke consumption and free ride for your Haitian live-in boyfriend younger than your kids. That would mean that I would pay the 7 years of fees AND support to his mother for her pocket. I, however, completly agree with your comment. My friend kids should of been emancipated in 2005,2007 and 2009. He did not Emancipated them until 2011. Now the courts want him to pay 34,000. His child support was up to date . The court said it is his fault and has to pay. Same thing we’re going through. My step son lives with his mother. He’s 18 and in the 10th grade, has 4 credits toward graduation. He’s only attending school part time 4 hrs a day. In Ohio the law says child must be enrolled in school full time. He’s only going to school because his mother needs the child support to pay her bills, she the mother doesn’t work. My step son will be 18 in June of 2018 and will graduate high school in May of 2019 (his mother held him back a year in kindergarten). He would like to move out of his mother’s house when he turns 18, but would still have a year left of high school. We are in ND and they are in SD. Currently he does not see much of his child support as is. When he is 18 and moves out, is it possible to apply his support directly to his rent and utilities instead of to his mother who will keep it for herself? He would still have everything that we have already been providing for him, just not through his mother. After graduation he plans to move to ND to live with us while going to school. Would she then have to pay child support while he is attending school and living with us? My granddaughter wants to attend college full-time. She will be 18. We live in CA. Her dad passed away last year. He was on disability. Are there any funds she can apply for? I was emancipated at 18 yrs old in Indiana. Still in high school and no longer living with either parent or family member. Are there any loop holes to help me out with Financial Aid considering I had just turned 18 when the emancipation went through?? I have taken in a child when he was seven years old. He just turned eighteen. His father is the custodial parent but has not supported him. I am his sole suppprt. He is a junior in high school. I’ve been told that if he is still in high school at 18 yrs of age that he can get his college education paid by a government agency. I know his father will not help in any financial way and I can not afford to do it myself. Please let me know if this true and or which agencies can help him. I live in Illinois. My 3 children are now 18, 20 and 24. I paid child support from Mar 03 till Aug 2016. My question is…if I am not paying “child support” any longer..am I able to still claim any of them on my taxes. I heard children can be claimed up to age 24. If I am not paying child support any longer (paid from March 2003 until Aug 2016) Am I able to claim children on my taxes while they are.in college? Hello. I live in california and my son is 17. He recently enrolled in the military and the military will pay for his schooling once he graduate’s and goes off to collage. My question is will i still have to pay for child-support even though the military is paying for his schooling? Thanks. Minnesota case. I am the non-custodial parent. My son lives with mother (custodial parent). My child support order states child support will be terminated at 18 years of age or age 20 if attending a post-secondary school. My understanding then is I will continue to pay child support until age 20 if my son attends post-secondary school, regardless of where he lives – on his own, with me, or with his mother. Question 1 – is my understanding correct? Question 2 – if my son comes to live with me after age 18 and attends college (I’ll pay for college), can I request the court to terminate the child support order? (Doesn’t make much sense to provide child support to mother when my son is living with me and I will be paying his college tuition). Question 3 – can I request the court to terminate the child support order if my son comes to live with me before he is 18 years old? Ex wife was ordered to pay monthly payment and insurance of Daughters car. Now that she has reached age of Majority, can the Ex take the car back? My case is in Kansas, but my kids and their mom have lived in Florida for 2.5 years. My oldest son turns 18 on Dec 30. At the end of his junior year of high school he had 2 credits to get his high school diploma (1 full credit of math). For his senior year his mom got him labeled as a homeschooled student. He isn’t really homeschool, but taking 15 credit hours at a local junior college. I’m looking for a way to file to end support at the end of December. Florida only requires age 18 to stop child support while Kansas provision is 18 or until high school diploma. I’m looking in statutes that would show he would no longer be seeking a diploma or to say since his schooling is in Florida then at 18 support stops. I doubt I can the use the florida aspect since my case is still in kansas. Hello I’m Charles on this child support treadmill. I paying support for a child that turn 18 in Feb. 2016 and graduate from high school in June 2016 in North Carolina. Okay the child support case was file in DC where my child was born and live with her mother. I reside in Maryland. The mother move back to NC with my child as full time resident of NC. Soon after I was summons by Maryland to report to court for child support for a case that was now being being file in NC by the mother which put me in arrears. I been trying to do some research but help is needed. When I check the DC child support website it states no case on file. But the case shows up on the NC and MD websites. This is where it is confusing DC emancipation age is 21 but no case on file. MD emancipation age is 18 or 19 with stipulations, but they don’t reside in MD. NC emancipation age is 18 and no arrears. So when does this all end. Open for comments. Do I need a lawyer? It’s where the case originated. Yowill be accountable for the original order from DC although the case does not show up in the DC system any longer. my wife is collecting child support for my two kids but she is getting a ssi disabiliaty check for my son who is on the order and is past 18year of age because he has mental issues can she collect both ??? My name is Lori I live in New York state. I have a son the age of 20 who I am paying child support now four. He works a full-time job making $15 an hour. Am I legally able to emancipate him to their fourth stop the child support that I pay his father. No. You have to pay even if he’s working. Especially if he still resides with the custodial parent. 33.3% of your gross earnings, tips, awards, bonuses etc. Anything outside of that is considered a gift. You will not be refunded any past over payments. My twins boy and girl left on their own when they turned 18. My daughter graduated high school and is going to college. Do I still have to pay child support if they left on their own? All of my retirement was made as a documented merchant mariner. Washington state law say that I can be forced to pay child support after age 18 if the child is in college. Washington state law also states that are of majority is 18. Under federal law 46USC11109, my wages accruing in a retirement fund can only be garnished for spousal support and maintenance, and support of a “minor” child. Am I right that federal laws, under the Supremacy Clause void state laws? What if you live in kentucky and the child turns 18 next month he won’t have a diploma because he hates school, how do you get it to stop ? You get their grades and references from the teachers and take it to court with the supporting documentation. You can’t. As long as he is actively enrolled and still attending you will be required to continued payments. My wife and i divorced several years ago and have three children together (we live in SC). The divorce decree states that i pay child support for each of the children until they turn 18 or graduate high school, whichever is later. The decree also states that i claim the middle child on my taxes as an exemption. My son turned 18 last fall (in 2015) and will graduate in May of 2016. We are recalculating the child support, but my wife thinks that she should be able to claim my son on her taxes in 2016 because i will no longer pay child support after May 31, 2016. Also, i pay health insurance for all three children. Does it come down to who pays the most since my child support stops this May? okay if i live in tennessee and i graduate high school at my normal time and im 17 can i move out? i want to live with my dad but hes in another state so custody is hard. Im in an unhealthy stage at home and i want out of it. I graduate highschool in two weeks. What if I live in Kansas with my dad and my mom lives in Nebraska paying child support. I want to move out because I am 18 but my dad tells me since my mom can pay child support on me until im 19, he has custody until i’m 19. but i live in kansas and then age of majority is 18. I think he is just saying this so he can still get the money. Can i move out legally after i graduate in may? My understanding is if you’re a permanent resident of Kansas (not just visiting), you would follow Kansas emancipation laws. A child support order is for child support only. It can’t change the emancipation laws of another state/jurisdiction. You can always talk to someone at a free legal clinic for more information. I have 2 boys in the state of Minnesota. My oldest will be turning 18 this yr.According to our divorce decree it states emanicipation of a child at the age of 18 or graduated whichever comes FIRST but he actually doesn’t graduate till nxt yr 19.So I have 3 questions. .1 will the courts still have me continue to pay child support because he is not yet graduated even though it’s stated in our divorce decree whichever comes 1st? ..2nd If indeed he is emancipated will my child support be lowered then?..an 3rd My son is now under the care of a foster home due to behavioral issues an getting in trouble with the law so will they continue to have me pay child support for him due to him being under the care of the state now? Child support agencies must follow the provisions outlined in a parties’ court order. In most states, if the order doesn’t specify a “per child” amount or have a provision that support decreases then the oldest child turns 18, then support would continue, unchanged, until the youngest child turns 18. The father of the children can always seek legal advice on how to modify the order. Are you sure your Decree states “first”? Because if your Decree states “whichever comes first”, basically it’s saying that if a child graduates at 17, they’re emancipated (?) and that’s contradictory to MN emancipation laws which states the definition of a child is “under 18”. You will be required to continue paying the child support ESPECIALLY if he’s under state care (foster home). You can call the local child support office or an attorney and they will be happy to give you that info for free. I filed on myself over 10yrs ago.My child is now 20. School records would show he moved back in at 9th grade. His mother moved back in 3yrs ago, “temporarily” and I’m still sending $100/wk automatically from each paycheck. I contacted the state,visited local lawyers who didn’t help much. I have limited patience for anything outside of work, which doesn’t help this situation. I live in South Carolina and i was never ordered to pay child support! she wouldn’t let me have a paternity test! She and the Baby moved to Texas! Now the Girl age 18 wants to find out if i am her biological father! I have agreed to take a DNA test if i am proven to be the father do i have to pay back child support??? No you do NOT because an order was never in effect. But good luck on your paternity outcome! I go to court again for a support issue. Our agreement states ex husband will pay for college tuition but actually because I am very poor, I have been able to get alot of financial aid for him. The ex went to court and terminated cs because son took a semester off and then went back the following, he has one more semester of college to complete 2 BA’s. Son was kept back from school in kindergarten, hence he started elementary school as a 7 year old which means he would not have been able to finish college by age 23 anyway. I am going this week to file motions as pro se (I am indigent) 1) for alimony; I should have gotten 14.64 years based on length of marriage and only got 5. 2) I am going to as the judge to modify her judgment concerning emmancipation as not only is son still my dependent for college (home address etc), but ex spouse has been paying him support directly…so he is NOT emmancipated, correct? If he still resides with Mom then you will be required to continue payments. The payments can NOT be paid directly to your son. If he lives on his own where he is a independent lease holder (Where he pays his own way) meaning “no roomate student loan dormitory” situation then maybe. My dad hasnt paid child-support since i was 7 yrs old. My mom filed child supoort in New jersey. But when i was 8 we moved to pennsylavnia because my dad stopped paying-he moved to mexico.I am currently 17 and i know where he lives (north carolina-been living there for 5 yrs now) i want to take him to court and claim the money because i need the money for college. How can i do this ? I cant affored a lawyer ?? Please help!! You may have a case. Call a lawyer or just walk into their office and ask for a free consultation. They will be happy to help you. Ask them if they would be willing to help you “Pro Bono” or offer them $1 to represent you. It may work. Good Luck! what if a parent is divorced and pays child support on a child that is disabled? I know the parent would pay until he/she is done school but what about beyond that because they are disabled? The parent will continue to pay because of the disability. You have to check with your local child support office to determine how long that period will be extended. My daughters turned 18 a few months ago this year, they live out of state where the divorce and child support agreements were filed. The kids won’t graduate high school until Jun 2015. Over the past few months just before they had their 18th birthday, my ex started to pull her typical maniacal vindictive stunts. Unbeknownst to me and all of the sudden there’s a huge college expense that I’m expected to pay half for. However, in my concern about this new expense dropped on my lap I got upset and responded that I just don’t have that kind of money to spend at her whim and leisure. Then after she had me worked up over this new surprise she finally discloses that my kid got a scholarship; granted it doesn’t pay for all expenses, but I would have never known about. Now I am slapped with fees I had no idea about and that were never discussed. She now is expecting me to pay for 1/2 of these costs incurred that I had no information about, or no communications. How is this fair for me to keep getting slammed with new expenses that I am not privileged too? My ex is very untrustworthy and conniving, it seems hopeless. Do I need an attorney? If my husband is paying child support and his son has moved in with us how do we go about stopping child support if she doesn’t want to cooperate? File a child support motion in the state where you live against her. This will stop the current order that she has against your husband. I have not seen my children for over here years…. I have three children. I have not spoken with any of them, have received a VERY occasional text response from two of the three (only if they decide to respond to a specific question.. Not a word from the 3rd. The children are currently 19,17,15. Al are in school..the 19 is a sophomore in college. They live with their mother in NY. I have tried for several years to see them. I call and text constantly. I went to court to request my visitation be upheld (versus the mother saying she can not make the kids see me, even on designated visitation dates etc.). The court agreed they can not be forced to see me and the judge said she would. to make them or make my ex wife make them. After several years, I decided to move to FL (I could no longer afford to pay support and My own bills). I am at my wits end….. I am not poor but far from rich. I pay 100% of my support on time. I have just had enough of paying for children I never see or hear from and who 100% disrespect me. How do I file to emancipate my children? Must I file in NY (the divorce was in NY) or can I file from FL where I now live ? You cannot file to emancipate them. The courts emancipate them based on the laws set in place by that state. You will need to continue payments and return to the judge you last spoke to and ask what courses of action can you take to get this resolved. My son was emancipated in PA @ 18. Ex wife moved to NY but son stayed in PA. Now Son claims to live in NY as a minor so ex can collect more child support. Is this legal? No it’s not legal. Can’t say it won’t happen – as governments don’t care about the law – but no it’s not legal. See Marshak v. Weser (child support order in PA, NJ courts had no authority to do what was not allowed by PA law). Your son’s earnings have nothing to do with your child support order. Because he still resides with the custodial parent you will be required by law to continue making payments until he has reached the age of emancipation. My husband has a child and she turns 18 in two months. The mother is now threatening to do a remodification. She graduated from highschool last month, but turns 18 in August. Is he obligated to pay support after August? If she goes to college most definitely. I will be 18 on august 11th and i am wanting to move out now but my parents might not allow me to. My step father raped me when i was little and my mother didnt care. My biological father pays child support on me and i dont want my mother to get the child support. i am mentally disabled. need help! My husband emancipated his daughter when she was 16 because her stepfather was physically and verbally abusive. She turned 18 in february this year. he continued to pay child support up until May when he lost his job. His ex wife is pressing for the child support even though she has not lived with her in two years. We just got his license reinstated not that long ago and now it has been suspended again. We cannot afford an attorney at this time do to my husband being unemployed. What can we do? Nothing. He has to find a way to regain employment to pay the child support so that he can get his license back. The child still needs to be supported. The support should not stop because she ended up being abused by someone. In fact, that’s the very reason that she should be able to have the support of her dad and mom collectively. Sounds like she’s been through a lot. As a wife I would encourage your husband to do ALL that he can do to be there both financially and emotionally for his daughter. My daughter is a senior in high school. She turns 18 in October. She will graduate early (January 2014). Will I have to continue to pay support for her until May of 2014 (end of school year)? I am in ND. My husbands child support was established in Wyoming but his son lives with his mom in Colorado. He will be 18 next March. Do we follow Wyoming law? He will not graduate because she “home schooled” him for two years and he is only in the 11th grade now. She has said she will “home school” him again so that he is in school longer. Can anyone help me answer this question? Wyoming terminates at 18, we have never missed a payment or been behind, but she is very vindictive and wants to make it last as long as possible. I have never been allowed to be a part of my child life because I did not have the money to pay a lawyer for visitation. Now the child is 18 and pregnant. I just found out I have to continue to pay support until she is 19. Is it true in the state of Alabama that support stops if the child getting the support becomes pregnant? I divorced in NV, my son and daughter (17 and 12) live in OH and I live in VA. I’ve been paying child support (not court ordered) since my divorce in 2003. I remarried in 2012. My ex now wants to file for child support in VA (where I live). She claims I’ve never given her a dime. I’ve paid her $1000.00 a month and paid all of my kids needs (school lunches, fees, clothes, medical, dental, cell phones, etc). I like that I will be paying the state for now on and not her; but can she receive money that I have already given her just because it was never court ordered? I have a daughter who is enrolled in alternative high school,She is 18 and is going to be 19 in June She is only required to attend 5 hours a week to be considered full time. The reason why she is still in high school is becaus she didnt attend school regularly and she is still 11 credits short.She has been in truancy court for failure to attend class. Do I have a right to modify this since I am still paying the full amount becasue she didnt attend school when she was suppose to my ex-wife already did and modification 3 years ago,to reflect the amount now. I also have been remarried and have another son who will be 14 in July this is in washington state. Children at age 15 and up should be able to chose to be emancipated from their parents, under reasonable circumstances. Example, if the teen 15 to 19 of age is being abused by the parent/s, they should have the right to be emancipated from them for the teen’s safety and protection to continue him/hers healthy young life. Huge question. My daughter dropped out if high school in 11th grade and is now taking classes through online high school diploma program. She is now extending her graduation date 3 more years. What is the policy in South Carolina for this scenario? I had child support terminated last week since she turned 18 at the end of 2012 but the mother raised Cain and said since she is taking these classes I should still pay. We go to court in march. Where can I find out if taking classes constitutes eligibility in South Carolina? I have an 18 year that has never had a stable residence as a result she was held back twice. My question is my child support order has been terminated in Illinois since 12/12. Now Texas is sending me letters stating I owe back child support. I have never missed a payment since she was 6 years old. Texas is also threatening to with hold my taxes. What can I do about this? Can I sue the Child Support Unit in Texas? Divorce was filed in New Jersey but my child has been residing in Pennsylvania since 2004. He will be 18 in Feb and graduating HS this June. Is the emancipation of child support applies in which state, NJ or PA? My step son turned 18 in Feb. of 2012, however he did not graduate high school so we had to continue paying child support until 19, graduation, or droped out of school which ever one came first. However, he was in a major accident at the age of 18 that left him disabled. Of course he was not able to go back to school to finish and is being cared for 24/7 in a hospital for therapy. Now his mother wants us to continue paying child support for the rest of his life. Is this possible. We all live in the state of New Mexico. My husbans ex did not want his help he did not get that in writing. She went to the state for help, state went after him for child sapport so now hes in rears. His daughter is 25 and they have never seen or talked he has sent cards. With her age does he still have to pay the rears. This is a arizona distric. I live in Alabama, my son will be 19 in November and he will graduate in May from high school in Texas. No college plans. Will the child support automatically stop at 19 or when he graduates or do I need to file a motion with the Hawaii courts??? Thank you! My son is 22 1/2 he has been in and out of college since 17. Finally I thought he graduated. But no he again has failed another class so he has one more class to complete his degree. My son lived in NY and turned 18, he graduated high school and joined the military. I am stil paying child support. How can I terminate the child support since he is in the military? His father has not notified the court and I live in a different state. Apparently, the age of emancipation in New York State differs from the age of majority. While the emancipation age is 21, the majority age is 18. This difference is confusing to non-custodial parents, because both are legal terms defining when a minor is no longer under the guardianship of a parent, and has become a full adult (whether or not they are regarded so intellectually, physically, or psychologically). I’ve been frustrated by these terms, because New York holds to both terms, yet clearly favors the age of emancipation when it comes to child custody and support in court. I have two kids and they took my daughter off because she turned 19 but told me that Colorado is a “fixed flat order state”. Meaning I pay the same a month until BOTH kids turn 19 Have u ever heard of that? We were divorced in France. The court order specified that NCP is to pay support until the children finish their education and become gainfully employed. Ex-wife subsequently moved to Virginia which has reciprocity with France, so Virginia DCSE has been collecting support. Oldest child is about to turn 18 which is normally the date when support would stop. However ex-wife says that I will have to continue paying after age 18 because of the language in the court order. Is this right? Just have a question concerning my husbands daughter. We live in Virginia, she will be 18 in March and she will graduate in May from high school. Will the child support automatically stop at 18 or when she graduates or do we need to file a motion with the courts??? for past yr living arrangements have drastically changed with my kids. my eldest can no longer live with her mother due to spousal abuse and physical abuse/violence done to my child by her step father. my eldest refuses to live with me so she lives with her maternal aunt. My youngest now lives with me full time and sees her mother only few hours in a mos. I now pay my eldest directly the child support i feel she is entitled to. Their mother pays nothing to either childs living situation so my question is can i request support on their behalf from their mother? And since my oldest will graduate from high school at the age of 18 and has not lived with either parent for past year is that considered emancipated in Colorado? I she lives with neither parent and isnt considered emancipated shouldnt child support be paid by both parents? So I was divorced in SC while I was in the military back in the 90’s, as part of the separation agreement I pay child support. Since this time the mother and I have both ended up back in NY but we have never changed the support to NY courts as we have always just come to an agreement about the support $$ amount. My child turns 18 this year and graduates High school next spring. I know for SC its 18 and out of High School support can stop. I also heard once you complete a contract in one state you cannot have it moved to another state with better terms (Sort of a double jeopardy). My child is a slacker and does not plan on attending college once out of high school and plans to work full time learning a “trade”. I have no desire to continue to provide support so he can sit around and good off until he is 21 (age of emancipation in NY). Since the divorce and separation agreement are from SC will I be able to stop base on SC guidelines? If the original order came from SC…….Then you can stop paying at 18 and is out of high school ……In SC is stops at18 no matters what. ..Her or you living in NY doesn’t matter. I have been trying to research via web for some time now on this subject. My husband agreed to pay child child support if his daughter elected to attend college not to exceed 5 years and child reaches the age of 23yrs in his 2006 divorce agreement. His daughter is now 18 and we rarely speak with her (once her father remarried she elected to not be a part of the family). We think that she is attending a local Technical college, although we have never recieved any paperwork from her mother or herself to notify us of this, and she informed her father recently that she would be “taking a semester off” throughout the summer. I can’t locate information that confirms if it is legally ok to not pay while she’s not attending! You might want to review the current Indiana Senate Bill 0018 which drops the CS emancipation age from 21 to 19. Looks like it will be signed by the Governor and become law soon. Does the Support order ruled in Indiana (until the age of 21) remain the same if the child hasn’t lived in Indiana for almost 10 years? Meaning, is it still ruled until the age of 21? yes, until he is 19, he is “self study” and he is not self supporting..
What if my child lives in South Dakota and I live in Illinois. The mother has not made him go to school and apparantly the school got tired of him not attending and doing drug rehab and juvinile detention and put him on a “self study” program, so he will not graduate on time. He will turn 19 in October, do I have to pay until then?